The most interesting game was a derby match between two local teams from Asuncion: Sol de America (#3) and Felix Perez (#7). Felix Perez was smashed at home by 28 points 72-100 and even the fact of playing on their own court did not help. Sol de America maintains third position with 9-4 record having just eleven point less than leader Olimpia. Felix Perez lost fourth consecutive game. They keep the seventh place with nine games lost. Undefeated leader Olimpia delivered the twelfth consecutive win. This time they crushed 6th ranked Luqueno (4-6) 93-70 in Asuncion. Undefeated Olimpia (12-0) have an impressive 12-game winning streak. Defending champion maintains first position with a perfect record of 12 victories in a row. Luqueno lost third consecutive game. They keep the sixth place with six games lost. The game in supposed to be also quite interesting. Second ranked San Jose (12-1) played at the court of 5th ranked Campo Alto (5-7). San Jose smashed Campo Alto 79-54 on Tuesday. It ended at the same time the three-game winning streak of Campo Alto. San Jose have an impressive five-game winning streak. 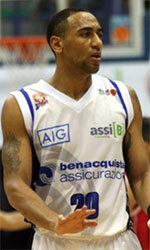 They maintain second position with 12-1 record having just fourteen point less than leader Olimpia. Campo Alto at the other side keeps the fifth place with seven games lost. The game with biggest result difference took place in Asuncion. 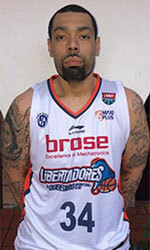 Local Libertad (6-5) outscored 8th ranked Ciudad Nueva (2-10) 79-42. Libertad maintains fourth position with 6-5 record. Ciudad Nueva at the other side keeps the eighth place with ten games lost. Undefeated leader Olimpia delivered the twelfth consecutive win. This time they crushed 6th ranked Luqueno (4-6) 93-70 in Asuncion. Olimpia (12-0) have an impressive 12-game winning streak. Defending champion maintains first position with a perfect record of 12 victories in a row. Luqueno lost third consecutive game. They keep the sixth place with six games lost.